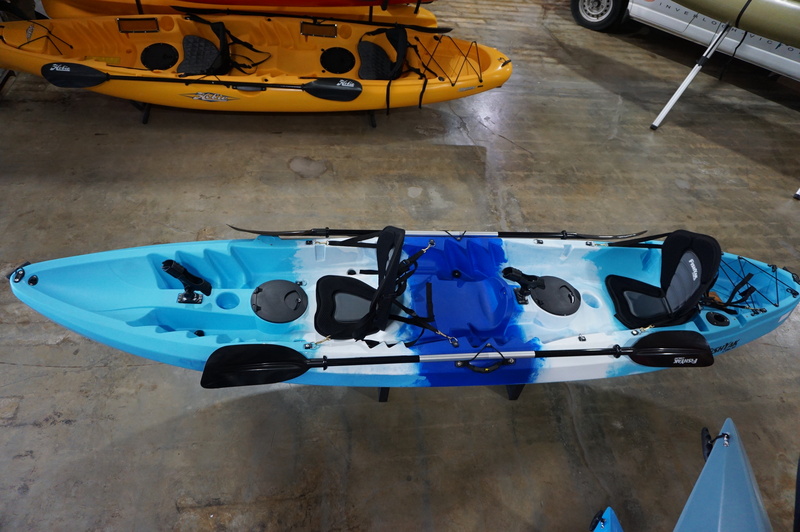 Is the FishYak Tandem Paddle Kayak right for you? Our buyers guide can help you make the right choice. The FishYak Asylum Tandem Kayak is so family friendly. Comfortable for two adults, add a small child or let up to three kids use this kayak with the addition of an after market third seat. Or when you want time on your own, re-position the deluxe back rest in the middle molding to go it alone. For fishing, your have two Railblaza starport mounts situated forward of the seats and two in hull rod storage behind the rear seat. Our on water test drive days are done on Andersons Inlet, Inverloch. Click the button below to book your FishYak Tandem Paddle Kayak test drive today.